Few islands in the world offer the diversity that exists in Sri Lanka, from ancient cities, to rich religious festivals, to colonial memories, to rolling tea plantations, to the best beaches in the Indian ocean, to an astonishing variety of bird and animal wildlife, and to a bustling and chaotic way of life, Sri Lanka intoxicates its visitors with its potpourri of cultures, religions, races, customs, its sheer natural beauty and its way of life. Be driven to the Cultural Triangle – the ancient heart of Sri Lanka. You will be privately transferred to your hotel. Dambulla Cave Temples, a UNESCO World Heritage site since 1991. This visit is well worth it as an introduction to The Cultural Triangle, Buddhism and the other archeological sites you will visit. An early start but totally worth it! Your chauffeur guide will take you to see the 5th century rock fortress of Sigiriya, also known as the “Lion Rock”. From here you travel north towards the ancient city of Polonnaruwa. En route back to Sigiriya, you might enjoy a late evening visit to Mineriya National Park. 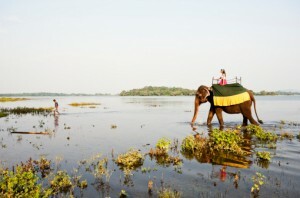 Visit the elephant orphanage in Pinnawela, then return to Kandy a visit to the Royal Botanical Gardens. Catch the train from Peradeniya train station close to Kandy to Hatton. Take the observation carriage & enjoy the tea & hill country – a magical way to see the country side. The trip to Tangalle takes approximately 7 hrs. Old Galle is a UNESCO world heritage site; a unique example of a preserved 17th C colonial Fortress. We will call you back in 00:01 seconds! Call me!